There are two types of Fender 6-Point tremolos. The difference between the two is the string spacing measured across the saddles at the bridge. 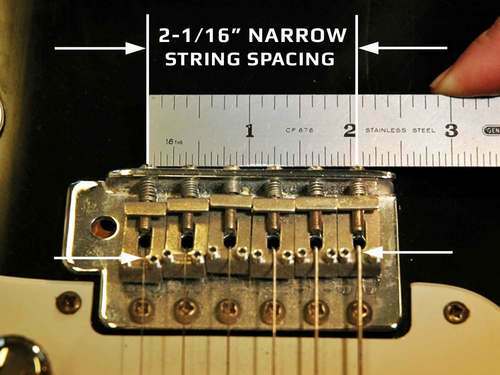 There is WIDE 2-7/32" string spacing, and NARROW 2-1/16" string spacing. 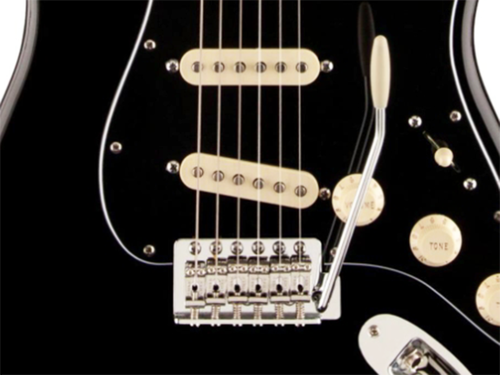 Wide spacing represents the original Fender tremolo. Narrow spacing tremolos are often found on modern import Fender guitars. 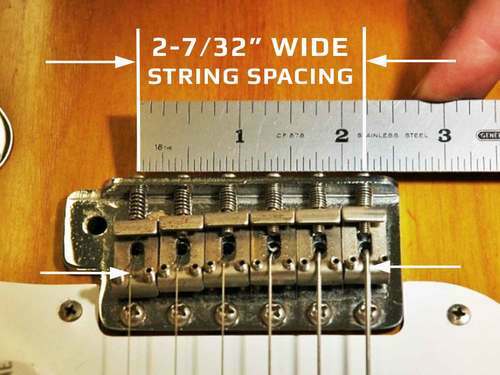 Note: It is more accurate to measure the intonation screw spacing as the strings can "slide" on the saddle altering your measurement.